Huge Savings Item! Free Shipping Included! 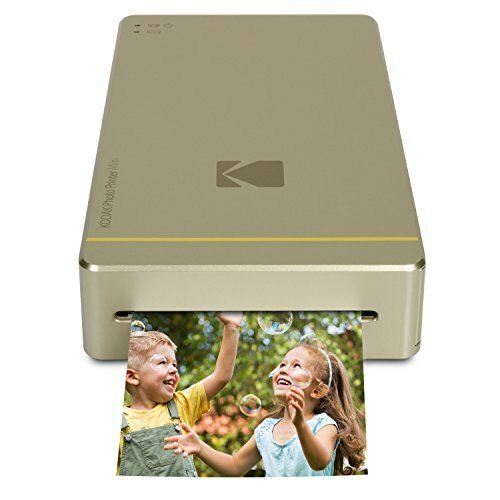 Save 20% on the Kodak Mini Portable Mobile Instant Photo Printer - Wi-Fi & NFC Compatible - Wirelessly Prints 2.1 x 3.4'' Images, Advanced DyeSub Printing Technology (Gold) Compatible with Android & iOS by Kodak at Pear Farm. MPN: KOD-PM210G. Hurry! Limited time offer. Offer valid only while supplies last. Wish you could print your phone’s camera roll with the touch of a button? With the Photo Printer Mini by Kodak, you hardly have to lift a finger.